A Problem no one knew about. The dramatically increasing number of end-of-life products pose people and the environment with unprecedented challenges. Every year, up to 50 million tons of electronic waste are produced in industrialized countries. Previous recycling methods fail to provide cost-effective holistic recovery opportunities. Our technology is a forward-looking and environmentally responsible answer to scarcer resources, the global increase in electronic waste and its toxic content. In contrast to conventional electricity generation, photovoltaics saves up to 90% of harmful emissions. We see this technology as a promising opportunity for our future. Photovoltaic modules consist of rare and valuable materials such as indium or silver. The bulk part of a module consists of glass and aluminum, which is produced by means of energy-intensive processes. Some module types are comprised of toxic substances like Cadmium. Therefore, we’ve developed a new recycling process that completely recovers all materials without chemicals and enables the return of the materials into production. With our unique recovery technology, a holistic reuse of photovoltaic modules is possible for the first time. The innovative process combines a pure and cost-effective separation of different glass grades as well as valuable metals and responsible environmental protection. 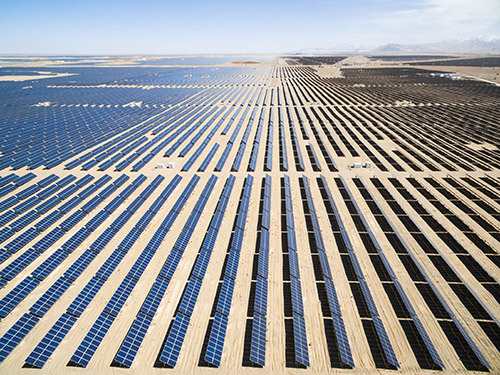 In a dry process, the components of photovoltaic modules are separated layer by layer utilizing high-intensity at low-energy light pulses and feed back into production without detours. The process is the result of several years of research and development. As a forward-looking company, we continue to innovate recycling as it is. To this end, we are guided by the concept: reduce – reuse – recycle. This results in a revaluation of waste products to reusable raw materials without loss. The goal is an efficient and integrated cycle for a sustainable future. We stand for maximum efficiency and flexibility. Mobile recycling units are available to our customers worldwide. As fast as a flash of light. No chemicals for holistic environmental protection. © 2017 FLAXRES GmbH. All rights reserved. Jegliche Vervielfältigung oder Weiterverarbeitung in jedem Medium als Ganzes oder in Teilen bedarf der schriftlichen Zustimmung von Benjamin Radestock.